signed 'E Facon Watson' and inscribed as title on an old label attached to the backboard, further signed and inscribed 'The smoke in the distance indicates the train about to cross the viaduct on the way to Abergavenny. Captain Fredericks was the last descendent of one of the ancient Princes of Wales. 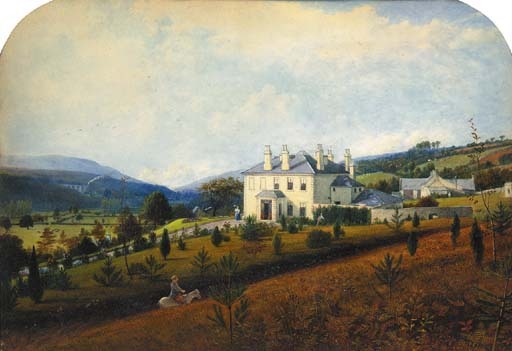 This view was painted on the spot by E. Facon Watson.